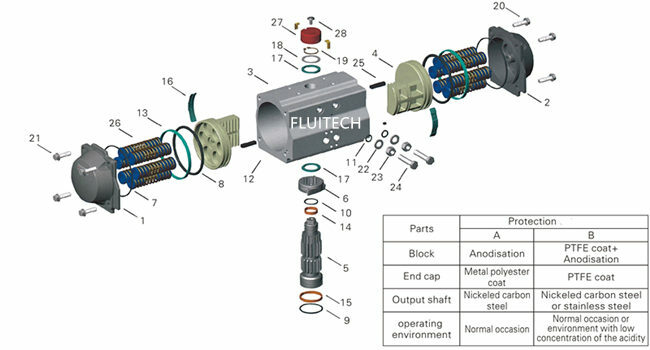 Pneumatic piping to the actuator and associated accessories should follow the best practices for instrument pneumatic piping systems, ie line free of water, oil, pipe sealant or other contaminants. The operating medium is to be filtered dry air or inert gas which is filtered to 50 micron particles size or less. 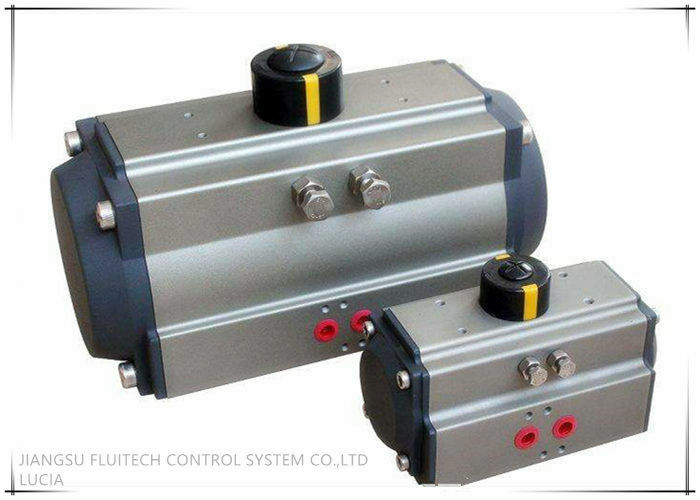 It is extremely important that the actuator be powered with the proper air pressure and air volume. Maximum working pressure is 8BAR. 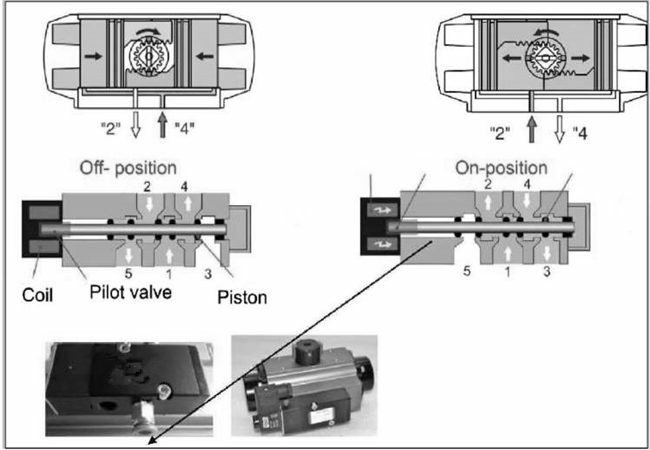 Disconnect air supply and electric to de-pressure the actuator. Release the lock nuts and unscrew both travel stops and seals, which are located in each end cap. Loosen and remove the end cap bolts evenly on both end caps. Using a rubber mallet rotate the end cap slightly, gaining access to the edges of the end cap. Use the rubber mallet to remove the end cap evenly. Rotate the pinion using a wrench to drive the pistons apart until they are free of the actuator body. Remove the snap ring, thrust washer and thrust bearing from the top of the pinion. Carefully remove the pinion from the cylinder body through the bottom. The travel stop cam will not fit through the bottom bore. It will slip off the pinion prior to the pinion removal. Take care to ensure the pinion does not damage the body.